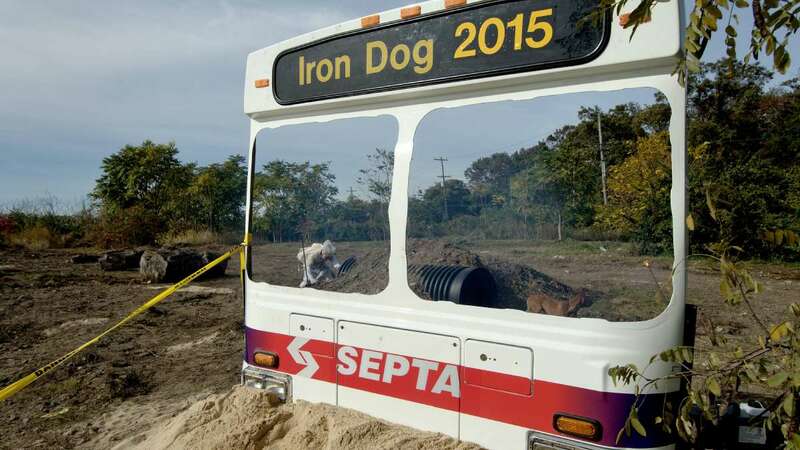 The GameStop where Officer Robert Wilson III was killed on March 5 is only a few blocks from the SEPTA K-9 training grounds, tucked away in a corner of the Midvale Depot. 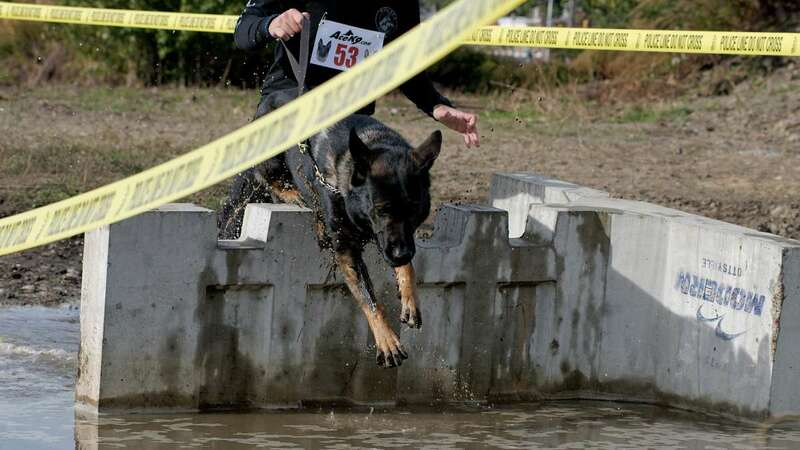 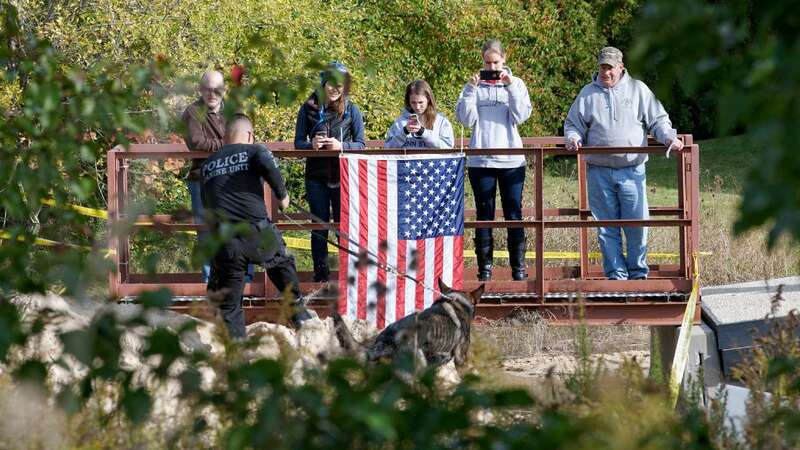 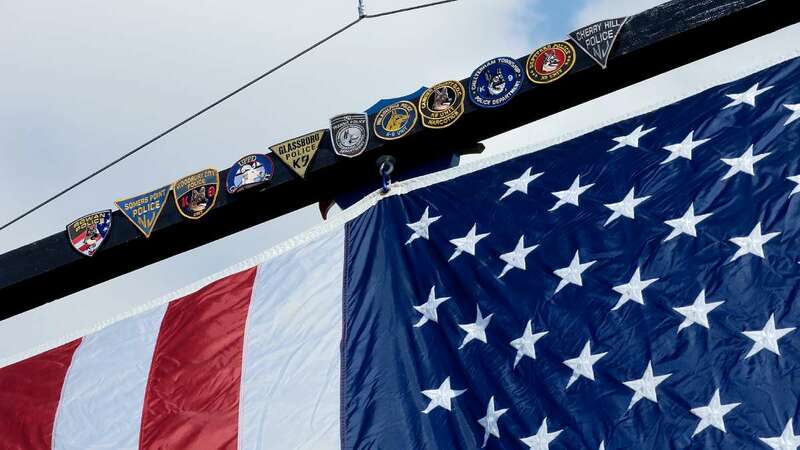 There, on Saturday, K-9 units from 20 police agencies competed in the Fourth Annual Brad Fox Memorial Iron Dog Challenge and remembered officers killed in the line of duty. 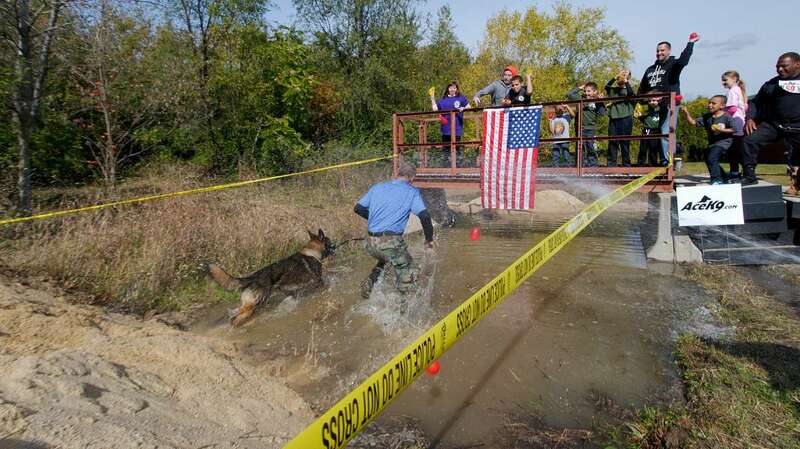 The event is named for K-9 Officer Brad Fox of Plymouth Township, who was shot and killed in 2012, but the money raised this year, $2,380, will be donated to Wilson’s family. 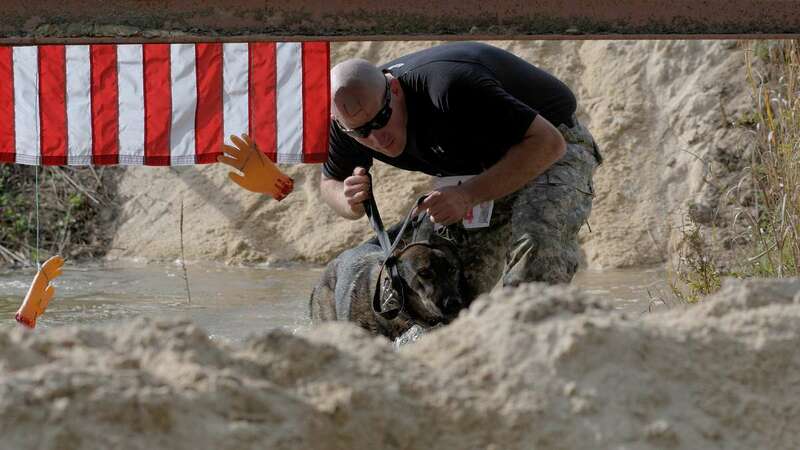 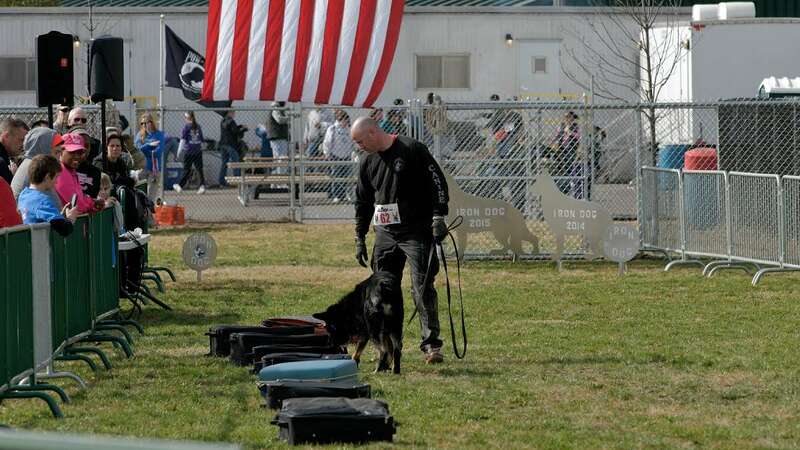 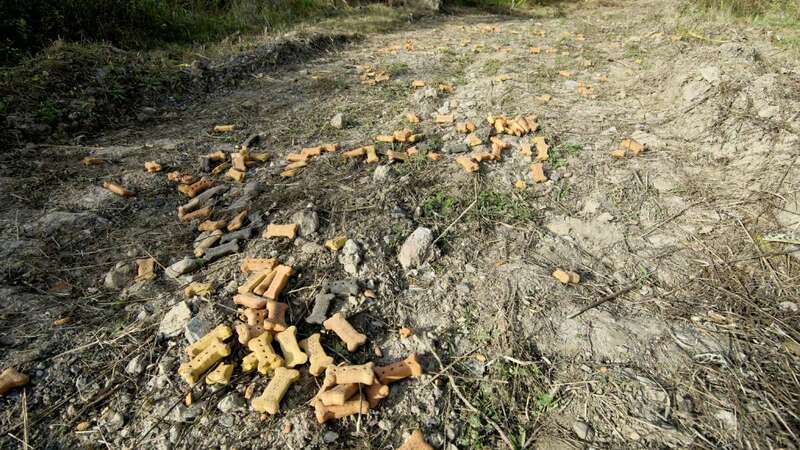 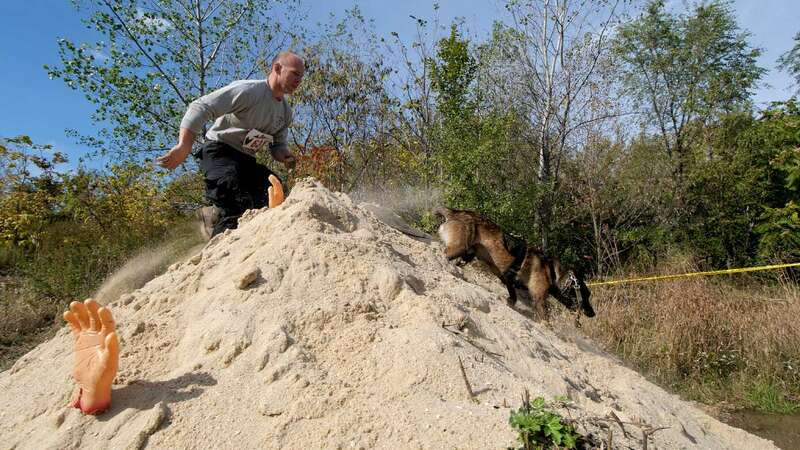 The 3/4-mile obstacle course is designed for dogs and handlers to work together. 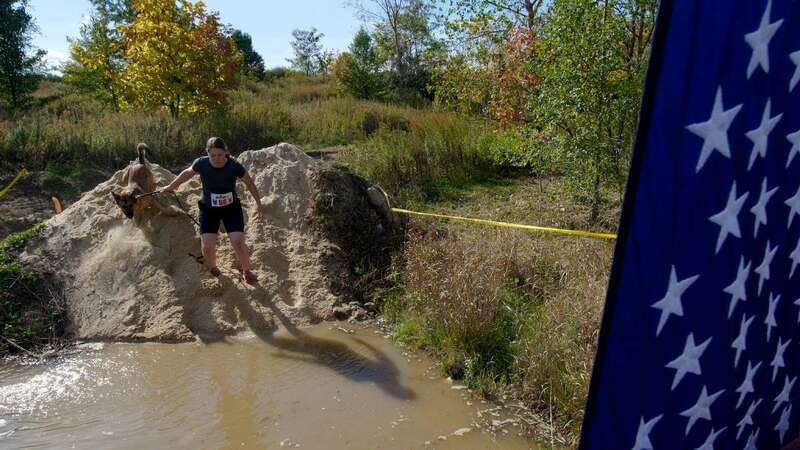 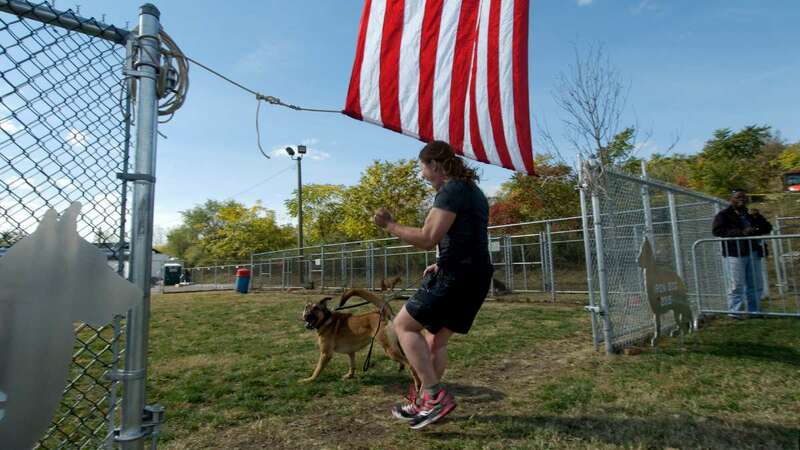 Catching her breath at the finish line, Officer Jennifer Doyle of the Abbington Police Department, recognized elements in the course that are similar to what she and her dog, Bella, find in real world situations. 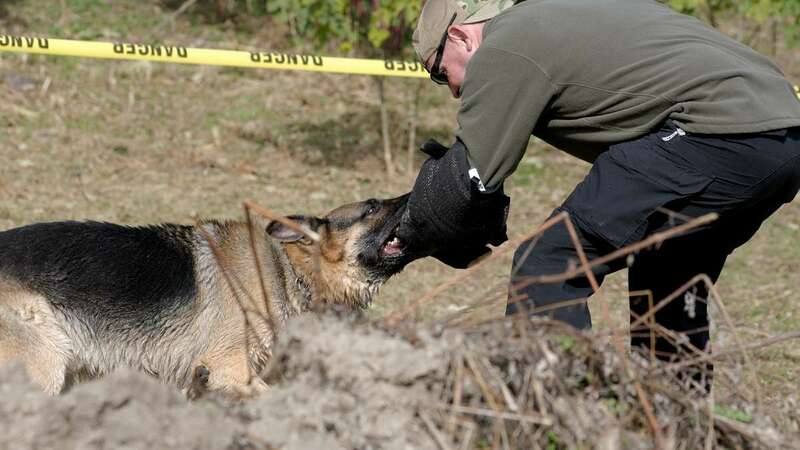 Whatever the dogs do, the officers do, explained Officer Ted Hrycyszyn of the SEPTA Transit Police K-9 unit. 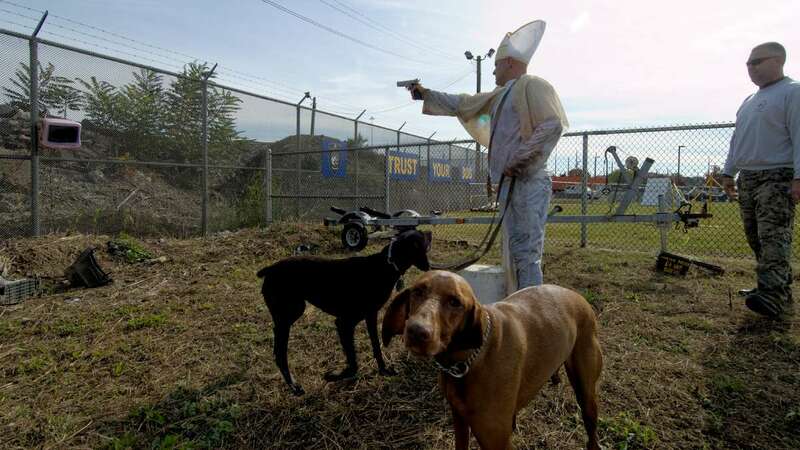 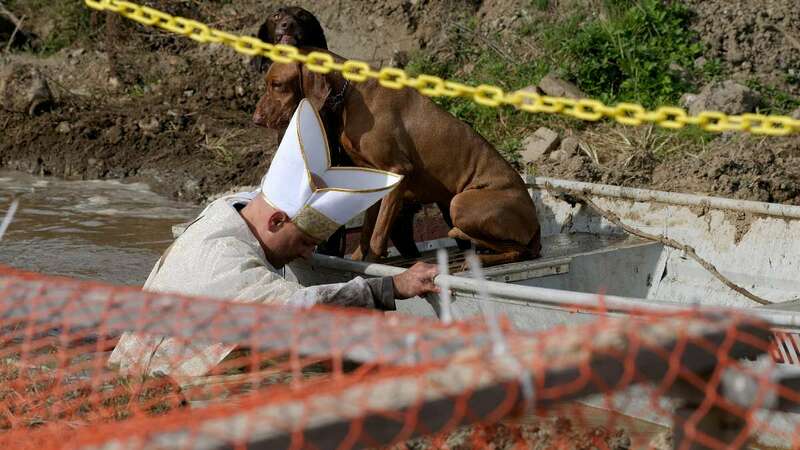 He is one of the event’s co-organizers and participated wearing a mud-stained Pope costume. 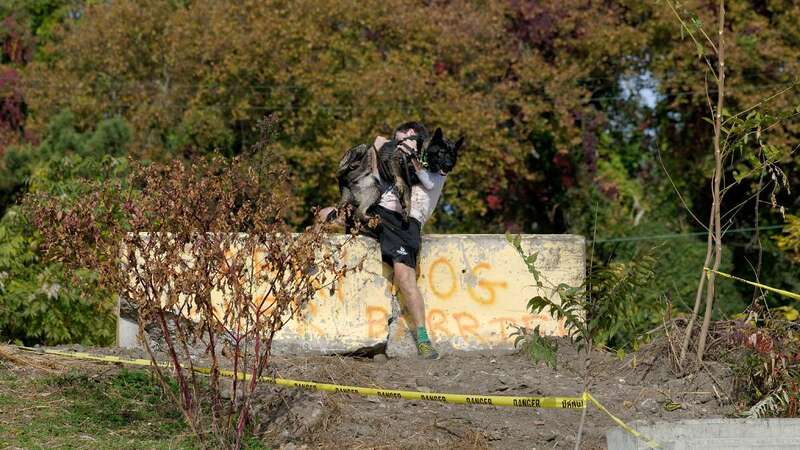 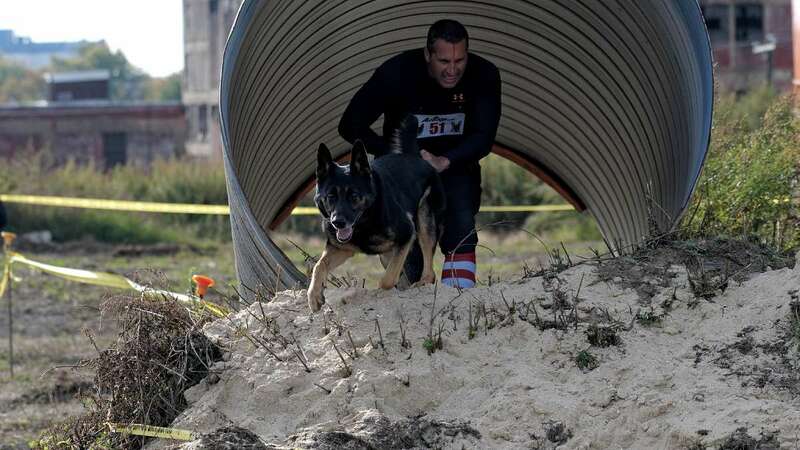 His two explosives dogs, Yyork and Dodi, followed every step as the team made its way through the obstacle course. 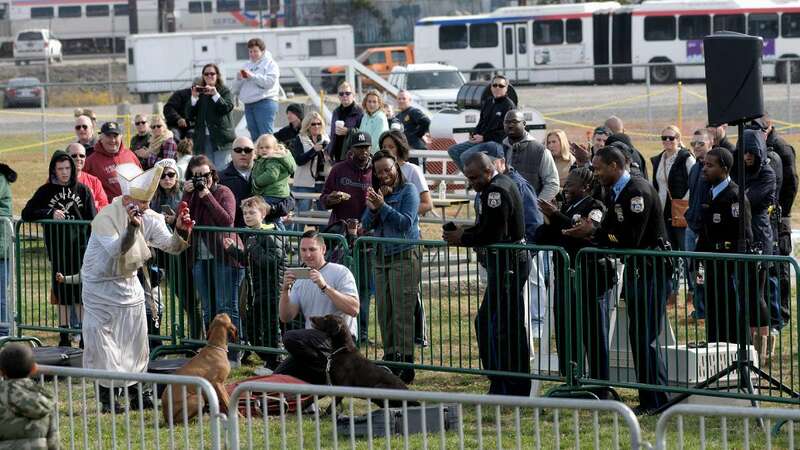 In the under-40 competition, Officer Ricky Watts of the Glassboro Police Department took first prize for finishing the course in under 5:28.64. 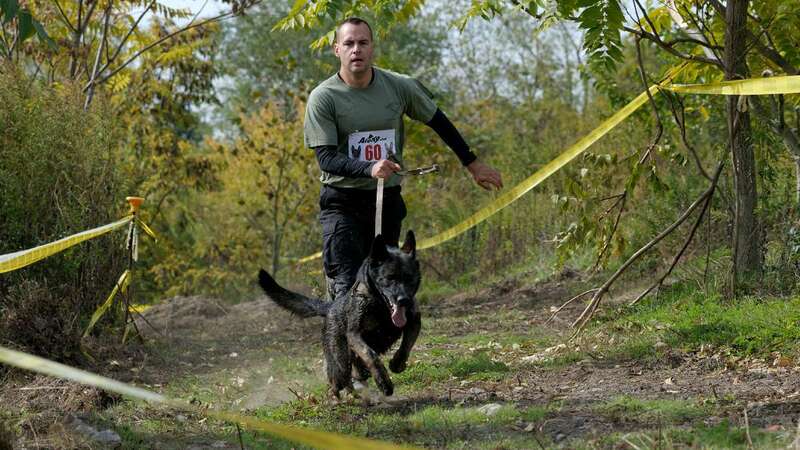 Officer Jack Tyrrell of SEPTA Transit Police proved the quickest in the over-40 category, while Patrick Robins and his dog won the military category.